Black Light Halloween Costume Party! TONIGHT WILL BE ENTIRELY BLACK LIGHT FOR CLASS AND FREESTYLE. 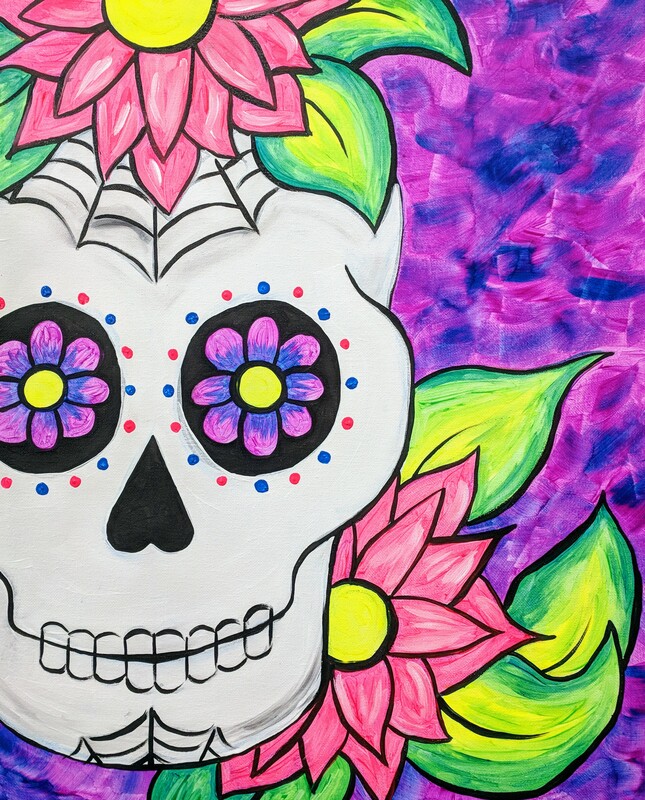 We will walk you through the "Neon Day of the Dead Skull" painting step by step or you can come freestyle anytime. No skills needed. Prizes will be awarded for the best costume! Wine, beer, mimosas and other beverages sold on premise. Any age welcome to come! All supplies and fun party favors included. Reserve your seats here for class or just walk in for freestyle! Costumes optional.